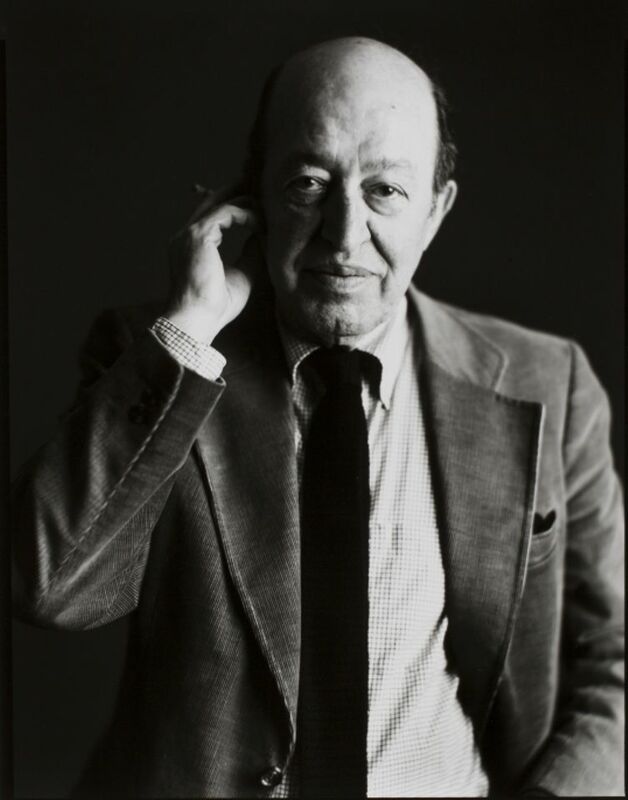 Almost 100 years since his birth, critic Clement Greenberg is currently enjoying a resurgence of interest in his life, work and writings. Caroline Jones’s book follows hot on the heels of Alice Goldfarb Marquis’s Art Czar: the rise and fall of Clement Greenberg, which itself succeeded Florence Rubenfield’s biography. These books present a multi-faceted Greenberg, one who swings between two poles: the arrogant, awkward, womaniser (Marquis and Rubenfield) and the authentic 20th-century “voice of American art”, the focus of Jones’s investigation. While Marquis and Rubenfield were criticised for their less than academic approach, focusing on his lifestyle more than his profession, Jones is likely to incur criticism from the opposite corner. At the outset, Jones announces that “this book’s Greenberg is neither evil nor good, but instead both an emblem and a guidepost for generations”. This is critical history rather than biography, and it makes a refreshing change to the Hello! magazine manner of the two older publications. Greenberg’s career was launched with the publication of one of his letters in Partisan Review which he later developed into his famous essay on Avant-Garde and Kitsch. This letter was written simply to voice his opinion, rather than as a bid to launch a career as a critic, yet, as he continued to write, his criticisms came to influence, if not to dictate, the direction in which art students moved and the taste and choices of collectors. He ignited debates among his contemporaries and his critics, most notably Harold Rosenberg. The American public’s response to abstract expressionism was cautious, and successful artists, then as now, were those who got the backing of critics as well as the market. Greenberg took up the cudgels for Pollock and the “colour field”; Rosenberg, in the opposite corner, championed artists such as de Kooning, whose work focused primarily on line and form. Jones takes Greenberg’s theories and essays as her foundation and divides her book into three parts: “Statements”, focusing on his writing; “Visibilities”, in which she studies the work championed by Greenberg, particularly that of Pollock, and finally “Regimes”, in which post modernism is presented as a product of the subjects discussed in the previous two chapters. Each of these is exhaustively researched; she dissects his essays with rigour and aligns his aesthetic tastes against those of his fellow critics. The book’s title, Eyesight Alone, is taken from a statement made by Greenberg in 1958: “The human body is no longer postulated as the agent of space in either pictorial or sculptural art…now it is eyesight alone”. Jones returns periodically to the notion of “eyesight” throughout the book, discussing Greenberg’s “disembodiment of this Eye, its gaze and its I”, and her text is predictably filled with quotations from Rosalind Krauss et al. This investigation into Greenberg’s emphasis on eye: his insistence that “the optical is the only sense that a completely and quintessentially pictorial art can invoke”, is carried out in great depth. In the final section of the book Jones raises an interesting analogy between this view and the advertising research in the 1940s into the effectiveness of “eyes versus ears” and uses this to reach a new level of understanding when assessing Greenberg’s importance within his own society. There are, however, some major gaps. The sub-title of this book is Clement Greenberg’s Modernism and the Bureaucratization of the Senses—while the former is discussed in the first half of the book and cleverly off-set later on in the chapter “postmodernism’s Greenberg”, Jones fails to explain what “bureaucratisation” means. She refers in the introduction to its “distasteful connotations of little offices, little processes…little men condemned to their service”, but never goes on substantially to tie this to Greenberg, his time or his writings. It is also surprising to note that Jones fails to pay much attention to Greenberg’s political (Trotskyite) views. The topic is mentioned, but never pursued—was this a conscious omission by the author as the book runs to more than 500 pages? This serious academic book will be of little use to newcomers to Greenberg. Although high quality, the illustrations are too few and do little to illuminate or break up the dense text. In the preface, Jones declares her aim: she wants to “end [this] subject—to construe the Greenberg effect, in order to be done with it”. Having the last word is, as ever, an impossible goal; and when the subject’s opinions are as radical as Greenberg’s were, new debates and discussions will continue to arise. Jones’s book will well serve those already deeply involved in Greenbergiana and its hefty index will make it a useful reference book. However, the educated public still needs a text that is, Goldilocks-like, “just right"—somewhere between the turgidly academic and the sensationally prurient, a book which will seriously and lucidly discuss Greenberg’s art criticisms.